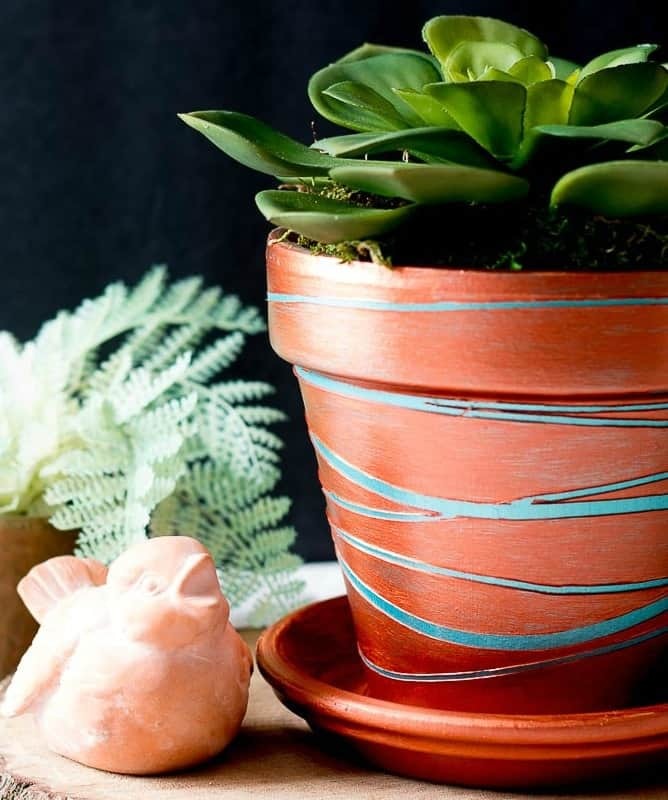 A simple DIY project that will turn an inexpensive clay or terracotta pot into a beautiful copper planter that’s perfect for succulents, both faux and real. 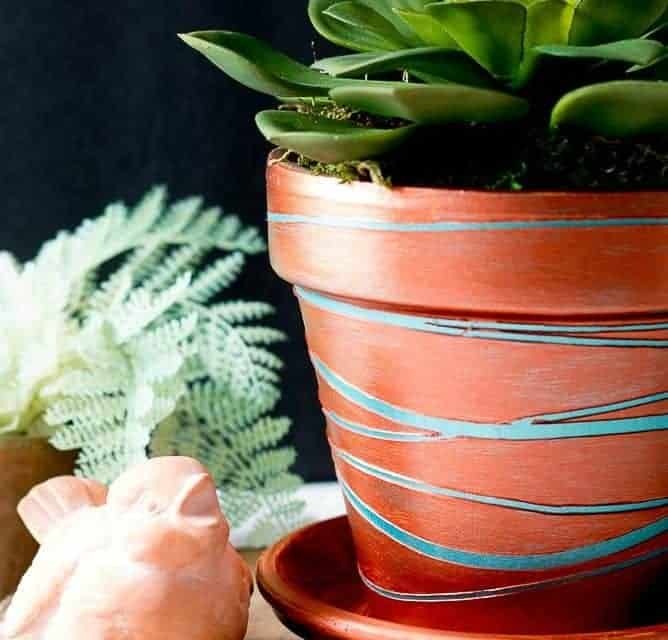 It’s the time of year where my mind starts going toward spring and summer and gardening but since it’s not possible to start any gardening where I live just yet, I’m turning my attention toward adding some plants (or at least faux ones for now) to my home decor. 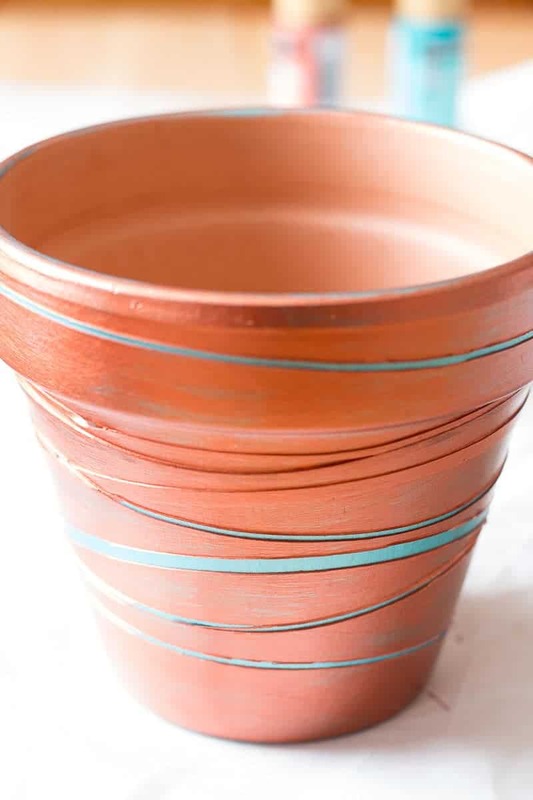 It appears that the look of copper decor is still trending and rather than run out and buy a bunch of copper accessories, I wanted to get the look of an upscale copper planter with a simple clay pot and copper paint and share it with you so that you can do the same thing easily and inexpensively. 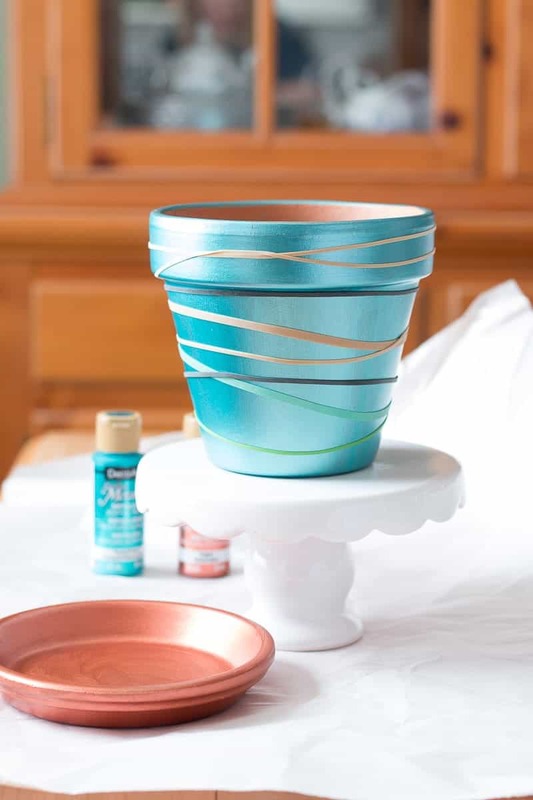 To add some dimension to this particular copper planter, I used rubber bands to create a flowing pattern with a beautiful peacock blue peeking out. I love the play of the blue against the copper. Do you? 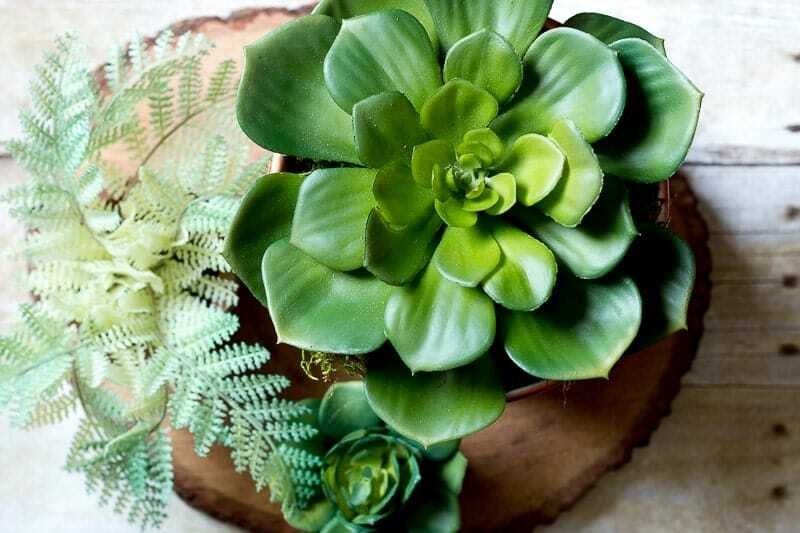 Faux succulent or live plant – your choice! Paint one coat of the copper paint on the clay saucer. 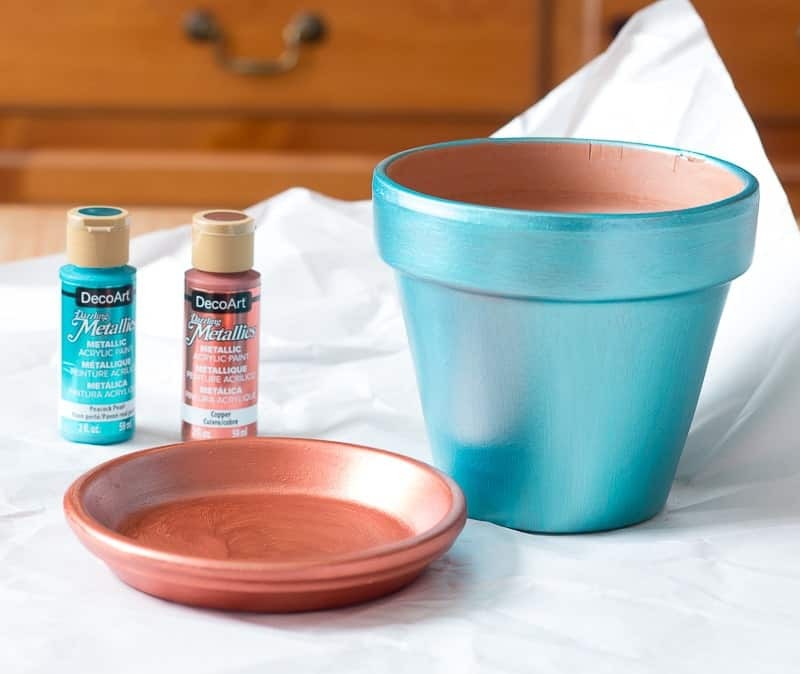 Paint one coat of the metallic peacock pearl paint on the clay pot, outside only. When dry, proceed to next step. 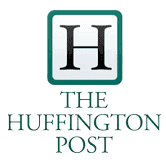 Place rubber bands on pot crisscrossing and place as desired. Paint one coat of copper paint over the peacock pearl and rubber bands. Allow to dry and then repeat. 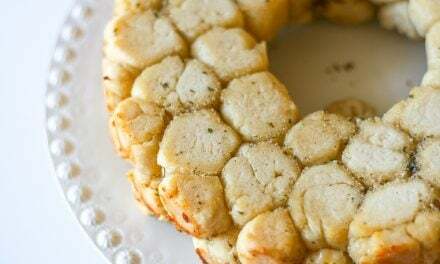 Once totally dry, remove rubber bands. I found that rather than pull the rubber bands off of the pot, it was best to pull each rubber band up slightly and cut with sharp scissors. 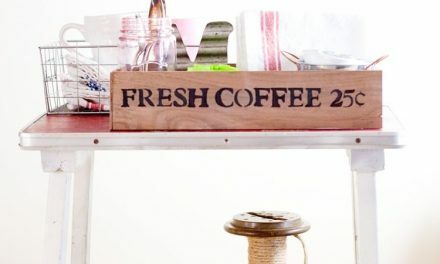 If using this for a faux plant, add plant foam to the pot, add plant and top off with Spanish moss. 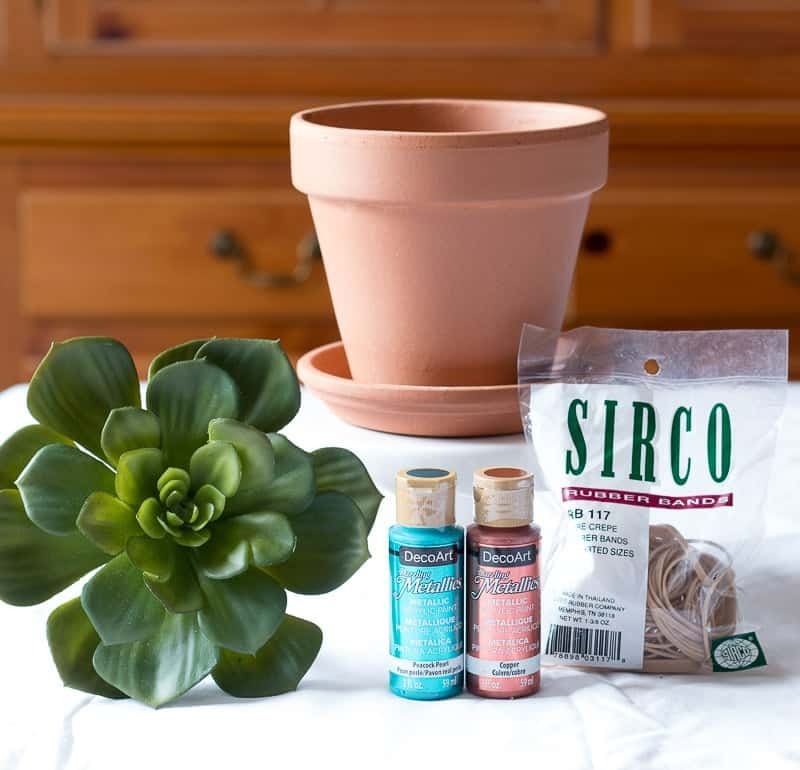 If using for a live plant, add dirt and plant. 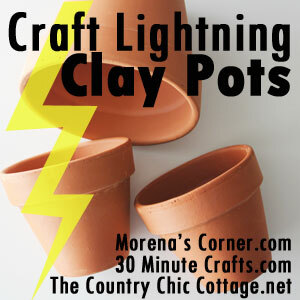 I hope you enjoyed this quick DIY as part of the Craft Lightning series! 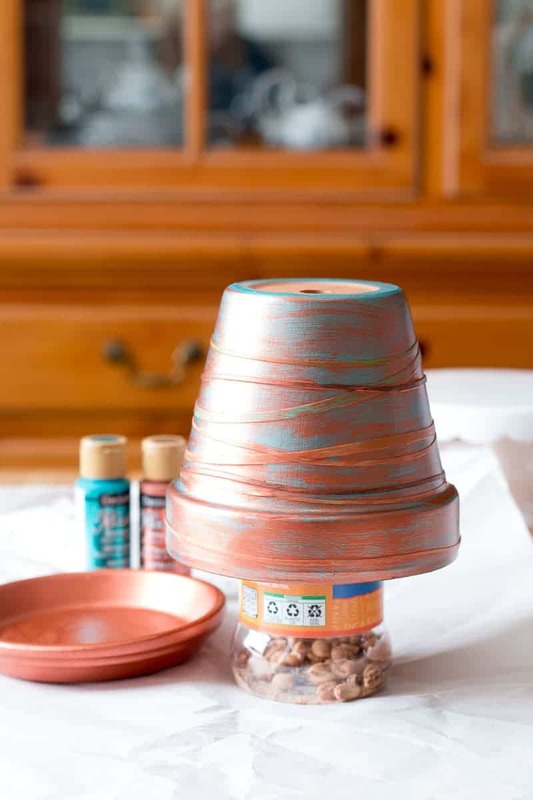 Click the photo below to see more 15 Minute or Less Clay Pot Crafts.